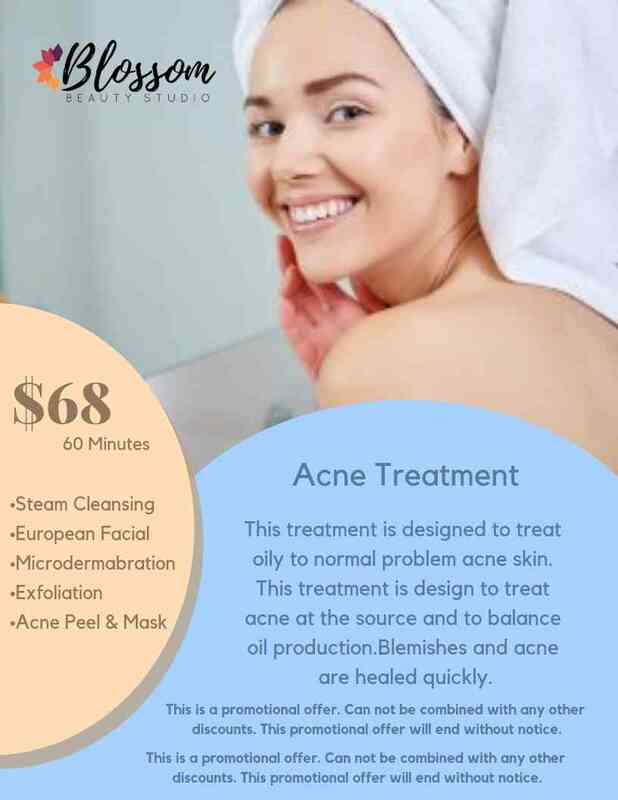 Blossom Beauty Studio | Acne Treatment | Rancho Cucamonga, CA Offer.. 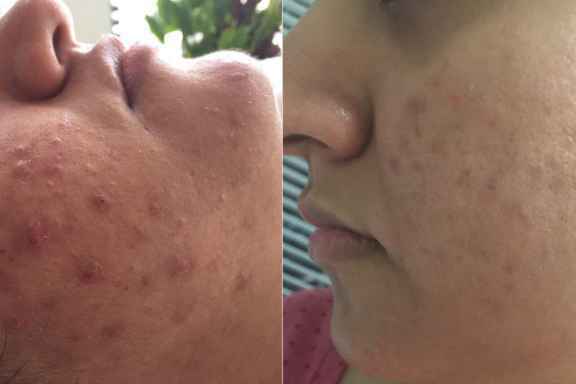 If you’re still struggling with acne breakouts, you’re not alone. Acne is one the most common skin conditions in the world. But no matter how common it is, acne is still a struggle to live with. The good news is you don’t have to anymore. With the right treatment, we can effectively target both the cause and visible symptoms of acne-related skin conditions. 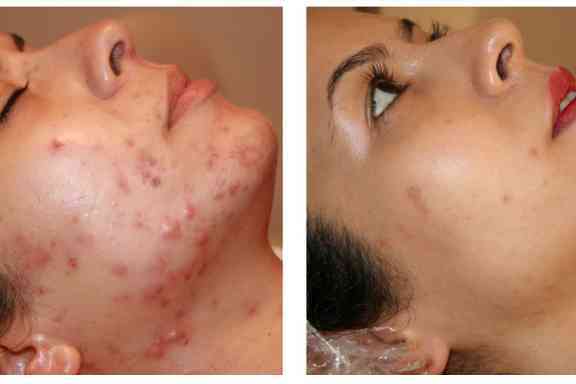 Our acne treatments work to heal existing acne-related inflammation, it also destroys acne-causing bacteria to minimize future breakouts. The result is noticeably smoother, healthier-looking skin that you’ll be happy to show off. How often should I have the treatments done? Treatments are usually done once a week. After a few sessions, have it done once every two weeks. What is the amount of sessions i usually need? Most clients receive a total of 5-7 treatments. How would I prepare for the treatment? Make sure your skin is clean. Do not apply any lotions, creams, or makeup before your session, and stop using any products that might irritate your skin 2-3 days before. You should also avoid tanning. You may be advised to shave the area before your treatment. Remove all jewelry around the area being treated. Will it be painful? The applicator has a cooling feature built into it to make the treatment as comfortable as possible, but you might feel a bit of discomfort if you’re treating a more sensitive area, like the upper lip. If you find it too uncomfortable, let the operator know and they can adjust the treatment accordingly. How long does a treatment session last? One session usually lasts 30-40 minutes, depending on the area being treated. 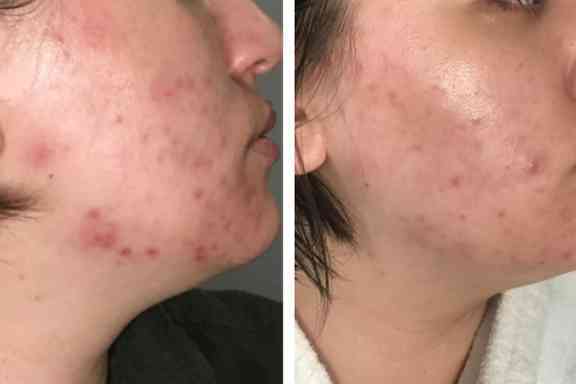 How long will the treatment results last and are they permanent? It depends on the severity of your skin and how well you take care of your skin after your treatment. We recommend a touch-up session twice a month, then monthly. Once the acne starts clearing up, you can then increase the time between maintenance treatments depending on how your skin responds to the treatment. Is there any downtime? There is no downtime. You can return to your daily schedule immediately after your treatment. How will I feel after my treatment? Your skin can feel warm, like a sunburn, with some redness, but other than that, you really shouldn’t feel any different if you follow instructions for before and after your treatment. Do I need to do anything after my treatment? Avoid tanning for at least 2 weeks before and 2 weeks after your treatment, and wear sunscreen (at least SPF 30). You should also avoid hot baths, massages, or any treatment that requires direct contact with the skin for the first 2 days after your treatment. If you notice any blisters or scabbing, treat it with a prescribed antibiotic cream—always consult with your treatment provider first. You can go back to gentle washing and using gentle, non-irritating products immediately afterward.